BOSTON SOCIALISM: Race, Class, and the Civil Rights Movement: From nonviolence to ghetto revolts. A retrospective and prospective. 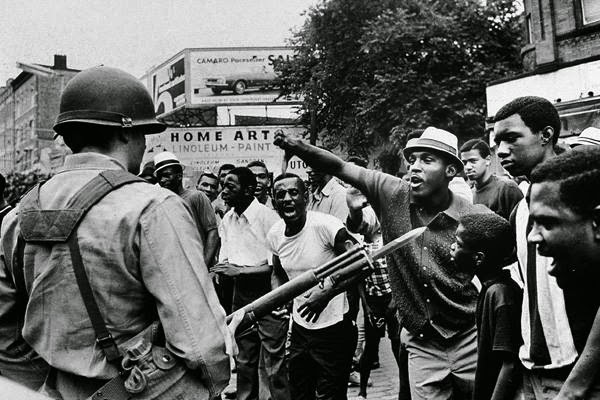 Race, Class, and the Civil Rights Movement: From nonviolence to ghetto revolts. A retrospective and prospective. * Note: Please read the requisite chapters prior to this meeting (see below). In the wake of first Ferguson and then Baltimore, the emerging struggle against police violence, inequality, and the informal racialized system of control that has come to be known as the "New Jim Crow," has decisively entered a new phase. These uprisings have much in common with the civil rights movement of the 1960s, which experienced a profound process of radicalization, hitting a crescendo at the end of the decade in a wave of urban rebellions or "riots" in virtually every major American city. However, the movement today is also dissimilar from the 1960s in that the new uprisings are occurring in an America that has undergone decades of neoliberal restructuring, massive expansion of the system of incarceration and police control, and in which a Black political and economic elite has been integrated into the ruling structures of society to an unprecedented degree. Nonetheless, to understand the present contours of racial oppression and resistance, it is necessary to study their roots in the political alliances and class relations of the previous era's civil rights struggles and aftermath. Please join the Boston branch of the International Socialist Organization for a discussion of veteran socialist and civil rights activist Jack Bloom's seminal book, "Class, Race, and the Civil Rights Movement." We will be focusing on the last two Chapters of the book in particular: Chapter 7, "Ghetto Revolts, Black Power, and the Limits of the Civil Rights Coalition"; and Chapter 8, "Class and Race: A Retrospective and Prospective."